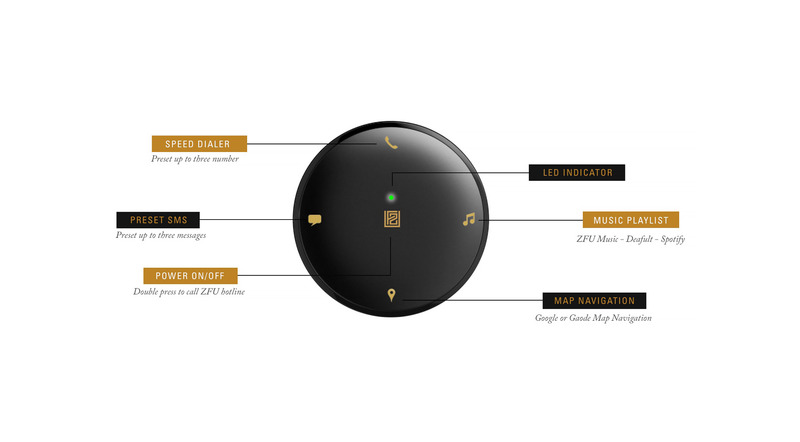 The ZFU Connect may be connected to your phone concurrently with your in-car Bluetooth audio system, which means you may control your phone via the ZFU Connect or your car’s built-in controls, whilst having your calls, music playback and map navigation prompts through your in-car system. download and install. The app will allow you to customize the device shortcuts for speed dialing, preset SMS, music and map navigation. Browse fast on your Android smart phone! ZFU Connect – Always keep your eyes on the road and arrive safe! Listen to a relaxing & pleasant original music, exclusive in ZFU Connect. Press for send out message! Preset SMS message is save time communications you keep sending. Speed Dial is the best way to get in touch with your favorites calls. Press for default address and input destination in Google or Gaode Map. phone & car audio in one.